Richard Luo is a passionate designer and young entrepreneur. In 2015, Richard founded Hangzhou Movo Tech co. Ltd with his partners to start a gelato business. Richard and his team cooperated with Gelato Club SPA, an Italian local ice cream raw material manufacture, to come up with an innovative solution to make high quality Italian gelato. 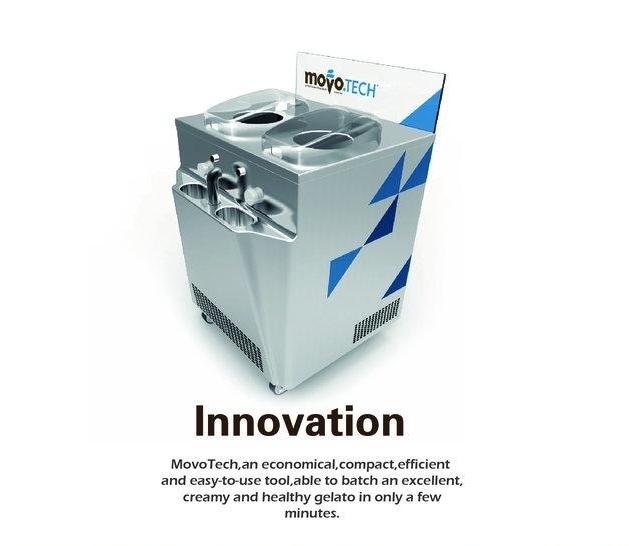 The two companies together developed a revolutionary gelato making system branded MOVO. Richard also started to design gelato related products, equipments, boutique shops and packaging solution for MOVO .The company also established its own factory to manufacture MOVO gelato machine. The MOVO group has its own R & D center, raw material and equipment factories, design office.MOVO is not only a premium consumer gelato brand, it is also becoming an influential industrial brand for providing fine gelato solutions for customers from related fields. MOVO smart gelato system is an innovative solution to making high quality Italian gelato. It consists of a front-bar smart gelato machine and a matching series of Tetra-pack gelato mixtures made 100% in Italy, A similar concept to “capsule coffee”. Different from all the others in the industry, the front-bar gelato machine is a unique concept designed to display the process of making fresh gelato right in front of customers. To make fresh gelato, simply pour the mixture into the machine pot and hit the corresponding program, which is already tuned perfectly for the matching mixture flavor, to start the batching and churning process. In 10 minutes, the fresh gelato with incomparable creamy texture will be ready to serve. The fresh maintenance program will continually churn the gelato to keep it being “active” and fresh. This system makes it possible for anyone without training to easily make premium quality gelato anywhere and anytime. Also, this gelato system takes limited space and requires no cold chain and backstage lab, which makes it a displayable gelato workshop in front of the customers. MOVO smart gelato system is integrated in all 100 MOVO franchise shops all over the world. This gelato solution is also widely used by hundreds of customers from cafes, bakeries, and restaurants who want to have fresh gelato in their shops.